Will Personal Data be Transferred Outside of the European Economic Area? Can Children Use Your Service? What Information is Processed By Cookies? How Do We Deploy Cookies? What Is Our Legal Basis For Processing Information Collected By Cookies? Reservations and Account Information: In order to access and use certain features, content or functions of the Services, including, for example, booking a hotel reservation, applying for membership at one our clubs, reserving a tee-time at a Trump course, making a restaurant reservation, purchasing products from the Trump Store or Trump Winery, signing up for loyalty programs or using any of our Apps, you may need to register for an account. When you create an account, we will process personal data as necessary to offer and fulfill the Services you request. Depending on the Services you elect to use and only as necessary to provide such Services, we may ask you to provide your name, name of your spouse or partner, mailing address, arrival and departure information, email address, name of pet, proof of identity (e.g., driver’s license number, mother’s maiden name), phone number, Facebook credentials in order to authenticate your account, date of birth, gender or other descriptive information or preferences, and ask you to create login credentials (i.e., a unique user name and password). Also, when you book a reservation, we may ask for additional specific account information such as corporate account number, group or convention code, travel agent number or AAA number. If you limit our processing of certain information that we obtained from you via consent, you may not be able to use all of the features of the Services. Additional Profile Information: We may also process information about our hotel guests, golf course members or players, customers (including prospective customers), residents and visitors so that we can best provide them with a personalized experience to fit their needs. Such information may include information or data relating to your room preferences, in-room dining preferences, Trump Attaché and other concierge services, preferred dining seating, equipment rental, leisure activities and interests, and other information as necessary to fulfill special requests made by you regarding your stay or services you request from us (e.g., health conditions that require special room accommodations or accessibility). We may also process other information associated with a guest’s stay, or a member’s, player’s, customer’s or other visitor’s use of the Services, such as the hotels where you have stayed, check-in/check-out dates, goods and services used, special requests made, observations about your service preferences (including room and vacation preferences, times of play, etc. ), real estate preferences (e.g., attributes of properties you are interested in, desired neighborhoods or school districts), telephone numbers dialed and faxes, texts and telephone messages received. Images: We may also use closed circuit television and other security measures at our properties that may capture or record images of guests and visitors in public areas of our properties. We may also use closed-circuit television and other technologies that record sound or video for loss prevention and security purposes, and the protection of our guests and visitors to our properties where permitted by law. Payment Information and Purchase History: If you purchase products or services on or through our Services (e.g., Trump Store or Trump Winery) your payment information (e.g. credit or debit card number, card type and expiration date and address associated with such credit or debit card) and additional information to fulfill the services or deliver the products (e.g. name, date of birth and shipping address) may be processed by us and/or third party payment processors. We also process the details of any purchased services or products, including the date of purchase, rate or product purchase price, food/beverage purchase history, and any wording you may suggest for a gift card. Location Information: With your permission, we may process the specific geographic location of your Device (e.g. by accessing your Device’s GPS) via our Sites or Apps to provide you with directions to our properties or to determine your proximity to our properties or other specified location (for example, to determine yardage when playing a golf course). If no longer wish to have this location information processed, you can withdraw your consent at any time by disabling the location and/or Bluetooth features in the operating system of your Device and/or in the App. If you have any questions about disabling you location and/or Bluetooth features, you can contact us privacy@trumporg.com. Personal Data You Choose to Provide for Marketing or Additional Services: We may process personal data that you choose to provide to us when you elect to participate in optional Site-features or Services. For example, if you sign up to receive newsletters, marketing emails, promotions or other communications regarding the Services and/or promotions from our preferred third-party products or services or other Trump brands, participate in contests, surveys and other promotions related to the Services, we may process your name, email address, mailing address, gender, interests and phone number in order to provide the additional features or Services. We will make clear what information we may process as a result of your engagement with the optional Site-features or Services. Comments, Feedback, Customer Service and Other Inquires: You have the ability to use the Services to contact us with questions you may have, inquire about memberships, request to be contacted about properties available for sale or rent, provide us with comments and or feedback about the Services (e.g., completing a “Contact Us” form on our Sites or surveys relating to your hotel stay) or to communicate with other users of the Services and post comments to or otherwise interact with certain aspects of the Services that are available to the public and/or other users. We will process any information you submit, post or provide in the course of such activities to respond to your comments or feedback. In the event you contact one of our properties or customer call centers, we may process information related to conversations, including recording or monitoring customer service calls for quality assurance and training purposes, and to verify your identity. Application Information: When you apply for membership to any of our golf courses, clubs or loyalty programs, or submit an application(s) in connection with the rental or purchase of a property to our realty or brokerage service, we process information that you choose to provide to us through your application process, which may include your name, email address, mailing address, phone number, gender, date of birth, dependent information and references. Third Party Platform Information: If you access the Services by logging in using your account credentials from a third-party owned or operated platform/service (e.g., Apple (iTunes, etc. ), Spotify, OpenTable, Facebook, Twitter, LinkedIn, etc.) (each, a “Third Party Platform”), post content from our Sites or Apps to a social network, or use various social media features (e.g., “Like” button), we may process certain information from the Third Party Platform, such as your username, “likes”, location, birthday, check-ins, comments and reviews, direct messages you may send to us, interests, photos, friends, status updates and other information you provided to the Third Party Platform in connection with your account. Depending on your account and privacy settings, we may also be able to see information that you post when using these Third Party Platforms whether or not you are using our Services. The information you post or provide to Third Party Platforms, as well as the controls surrounding these disclosures are governed by the respective policies of these third parties. Browsing Information, Logs, Usage Data and Other Device Information: When you visit our Sites and use our Apps, we may process information about your activities on our Sites and Apps through the use of technology such as cookies, web beacons and other tracking technologies, as further explained in Sections 13 - 17 Providing this information is not mandatory and cookies can be disabled by clicking here. However, please note that our Sites and Apps may not offer the same functionalities when certain cookies are disabled. To identify relevant content shared with potential and current users. Our Group Entities: We may disclose your personal data to our group entities that are affiliates and/or subsidiaries or parents of Trump in order to provide you with tailored products, services and communications. Service Providers: We may partner with other companies to help us operate certain aspects of our businesses, including the hosting of our Sites and Apps, operation of our technology infrastructure, processing of payments and reservations, and fulfillment certain of the services or products you request from us. We carefully select such third party operators, merchants, website hosts, service providers and participants to your transactions, including our on-property service providers, such as our spa operators, restaurants, valets and concierge services, for the purpose of (1) assisting with facilitating transactions on or through the Services, (2) providing information technology and customer service assistance, and (3) providing, offering, supporting, administering, maintaining and enabling the Services (including providing a full range of content, activities, services, features and functions offered on or in connection with the Services). Advertising Providers: In order to provide you with marketing and exclusive offers, including emails and advertisements tailored to you and your interests on and off the Services, we may provide your information to Third Party Advertising Providers. Co-Sponsors of Promotions: From time to time, we may co-sponsor promotions, sweepstakes, prize draws, competitions or contests with other companies. If you enter one of these sweepstakes or contests, we may share your information with the co-sponsor or third-party sponsor. Credit Authorization: When you submit an application for the purchase or rental of real estate, or membership at one our golf courses or clubs, your personal information will be used and disclosed to appropriate third parties in accordance with applicable laws for the purpose of determining your credit worthiness and whether to approve your application. Corporate Transactions or Events: We may disclose your personal data in connection with a merger, sale of substantially all of our assets or stock, joint venture, transfer, corporate reorganization or other disposition of our business. To Fulfill Your Requests: If you elect to use certain authentication or sharing features available on the Sites or via the Services, we may use your personal data to fulfill your request to share content with or provide access to such third parties (e.g. Facebook, LinkedIn, or Twitter). While no data transmission over the internet or wireless networks is 100% secure from intrusion, we maintain and have implemented reasonable physical, electronic, technical and procedural security policies and measures to protect the personal data that we process, which are consistent with applicable privacy and security laws. These policies and measures are designed to prevent against loss, misuse, unauthorized access, modification and disclosure and unlawful destruction of your personal data. The security measures can change and be modified over time, but generally include, but are not limited to, firewalls, data encryption, physical access controls to our data centers, servers and hardware and information access authorization controls, regular testing and updating of the systems and training programs. Withdraw any consents that you have previously provided to allow us to process your personal data. If you wish to exercise any of these rights please contact us at privacy@trumporg.com Although we urge you to contact us to find a solution for every concern you may have, you always have the right to lodge a complaint with your competent data protection authority. Please note that some requests may require you to verify your identity. How to Unsubscribe from Trump Hotels’ Marketing: If you want to unsubscribe from receiving tailored advertisements on third party sites (as described in “Advertising Data” in Section 2) and/or marketing emails sent by or on behalf of Trump Hotels, you can do so by visiting our email subscription center or by following the instructions in any such marketing email you receive from us. How to Unsubscribe from Other Trump Brands’ Marketing: If you want to unsubscribe from receiving tailored advertisements on third party sites (as described in “Advertising Data” in Section 2) and/or marketing emails sent by or on behalf of all other Trump brands, you may unsubscribe by emailing unsubscribe@trumporg.com (by clicking unsubscribe@trumporg.com, an auto-filled email will be generated and you must hit “send” to submit your unsubscribe request) or by following the instructions in any such marketing email you receive from us. How to Cancel Your Loyalty Membership: To end your Trump Card membership, please email trumpcard@trumphotels.com. Modifying Privacy Settings: You also may be able to adjust certain privacy, permission and user account settings under the Trump Hotels emails subscription center, by responding to request alerts or notifications on your Device or by navigating to the settings, account or privacy section (as the case may be) of your Device or the applicable Third Party Platform and limiting certain Service functionality (e.g., location services, etc.). Please be aware that if you limit the collection of certain information, you may not be able to use all of the features and functionality of the Services. Will Personal Data be Transferred Outside of the European Economic Area (EEA)? Our operations are supported by a network of computers, cloud-based servers, and other infrastructure and information technology, including, but not limited to, third-party service providers. We and some of our subsidiaries and affiliates, servers, vendors and service providers may not be located in your jurisdiction and may also be located outside of the European Economic Area and Switzerland. If you are an EU citizen or resident in the EU, we will transfer your personal data to the United States in accordance with EU data protection law requirements by using model contractual clauses that have been approved by the European Commission or other appropriate means. Please note that such transfers may also be necessary in order to perform our obligations under a contract with you, to fulfill a request made by you, to meet a legal or regulatory obligation and/or through obtaining you express consent. If you make transactions with parties outside the EEA or Switzerland or connect our Service with platforms, such as Facebook, outside the EEA or Switzerland, we are required to transfer your Personal Data with those parties in order to provide the requested Service to you. If you wish to gain more information about such transfers, please contact us at privacy@trumporg.com. Can Children Use Our Sites and Apps? Our Sites and our Apps are not directed to children under the age of majority. We do not knowingly collect information via our Sites and Apps from children or other individuals who are not legally able to use our Sites and/or our Apps. If we obtain actual knowledge that we have collected personal data from someone under the age of majority, we will promptly delete it, unless we are legally obligated to retain such data. 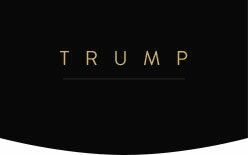 If you believe that we have mistakenly or unintentionally collected information from someone under the age of majority, please contact us at privacy@trumporg.com. For users in the United States, please also visit ftc.gov for information from the Federal Trade Commission about protecting children’s privacy online. If you are a resident of the State of California, we provide you with information on how to exercise your disclosure choice options such as your right to opt-out (which we may sometimes refer to as “unsubscribe”), as described in Section 7, or opt-in for use of your information by third parties (such as advertisers) for marketing purposes. Therefore, pursuant to the California Civil Code, we are not required to maintain or disclose a list of the third parties that received your information for marketing purposes during the preceding year. If you are a California resident and you wish to request information about how to exercise your third party disclosure choices, please submit your request at privacy@trumporg.com or by postal mail to The Trump Organization, c/o Privacy Administrator, 725 Fifth Avenue, New York, New York, 10022, Attn: Your California Privacy Rights. All requests must be labeled “Your California Privacy Rights” on the email subject line or envelope or post card. For all requests, please clearly state that the request is related to “Your California Privacy Rights”, include your name, street address, city, state, zip code and e-mail address (your street address is optional if you wish to receive a response to your request via email) and indicate your preference on how our response to your request should be sent (email or postal mail). We will not accept requests via the telephone or by fax. We are not responsible for notices that are not labeled or sent properly, or do not have complete information. You can always opt-out or unsubscribe by emailing unsubscribe@trumporg.com. We do not place cookies until you elect to continue using our Site after our cookie banner displays. Strictly Necessary Cookies: These cookies are necessary for the Sites to function and cannot be switched off in our systems. They are usually only set in response to actions made by you which amount to a request for services, such as setting your privacy preferences, logging in or filling in forms. You can set your browser to block or alert you about these cookies, but some parts of the Site(s) may not work if you choose to do so. Performance Cookies: These cookies allow us to count visits and traffic sources, so we can measure and improve the performance of our Sites. They help us know which pages are the most and least popular and see how visitors move around the Sites. All information these cookies collect is aggregated and therefore anonymous. If you do not allow these cookies, we will not know when you have visited our Site(s). Targeting Cookies: These cookies are set through our site by our advertising partners. They may be used by those companies to build a profile of your interests and show you relevant ads on other sites. They work by uniquely identifying your browser and Device. If you do not allow these cookies, you will not experience our targeted advertising across different websites.